Adm. Bobby R. Inman is a tenured professor at The University of Texas at Austin and was appointed a tenured professor holding the Lyndon B. Johnson Centennial Chair in National Policy in August 2001. He has served as interim dean of the LBJ School of Public Affairs twice -- in 2005 and again from January 2009 to March 2010. Inman served in the U.S. Navy from November 1951 to July 1982 and retired with the permanent rank of admiral. On active duty he served as director of the National Security Agency and as deputy director of Central Intelligence. 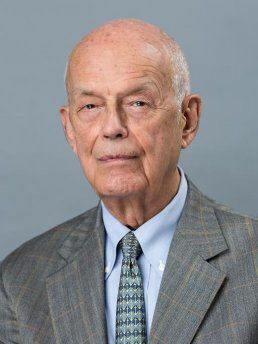 After retirement from the Navy, he was chairman and CEO of the Microelectronics and Computer Technology Corporation (MCC) in Austin, Texas, for four years and chairman, president and chief executive officer of Westmark Systems Inc., a privately owned electronics industry holding company, for three years. Inman also served as chairman of the Federal Reserve Bank of Dallas from 1987 through 1990. Adm. Inman’s primary business activity since 1990 has been investing in startup technology companies, serving as managing director of Gefinor Ventures and Limestone Capital Advisors. He serves as a trustee of the American Assembly and the California Institute of Technology. He is an elected fellow of the National Academy of Public Administration.